I Will Not Go Back To Neverland! 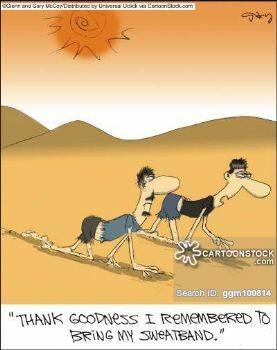 Somehow I knew just how these poor chaps felt; crawling on the burning hot sand in search of that 'something' that would quench my hunger and thirst for a better way of life with health and fitness. ... Dry to the bone, and dehydrated with nothing more than my sweatband. Life today in Sparks is to drink from an Oasis from a fountain from fresh springs that keeps me satisfied. Never do I wish to return to Neverland from the wilderness I once knew. No longing for old the old habits that are buried deep in the desert sand! Yeah! It was not a mirage! I have been rescued and I can get a daily dose of thirst quenching motivation, knowledge, and fellow friends feasting at the water hole! I can think of the many benefits I now enjoy as a result of health and fitness . In contrast, when necessary, I can do a quick review of life in the desert. Would I embrace the embodiment of extra adipose tissue again ? pants leaving red marks on a once trim waistline? Was it fun to watch in-laws glare and snicker at our daughters wedding. ( While I felt like saying, " I am RIGHT here! I CAN SEE AND HEAR YOU, YOU KNOW!" Do I want to hear crude remarks again? One day while by myself and shopping for my petite daughters, a clerk literally BELLOWED to me from her check stand : "MA'AM , The WOMEN'S PLUS SECTION Is on the OTHER SIDE OF THE STORE !" (Waving her hands Frantically and pointing). This woman had a voice like Hercules, with her own built in microphone! 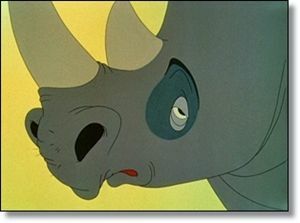 I felt as unwelcome and out of place as a Rhino in a coffee shop! But, some may ask: Can You Really Change for good? That's why we need to believe when our hopes look like a distant mirage. Here are some of the things I CAN do now. I can drive by our former favorite pizza parlor only one mile away. I do not think twice and it gave up calling my name. We disconnected for good. Why we used to buy Oreo cookies as if we owned stock in the company! Potato chips have not entered our home in many years, and never miss them. I have not gone to the traditional "Happy hour" in years. Life at home is happy enough! I traded my desert and a time in the wilderness for an Oasis and never hunger or thirst any more! It's not that I struggle wanting them. No, they got replaced with real foods! The past has NO hold on me! have to search hard or long to find things that will spark me and quench my appetite for learning new things. I am living the dream in my own Oasis and enjoy a lifestyle which allows me to get to the gym for a great variety. I love plucking 'real foods' from my vegetable garden...... Love making my own Greek yogurt and adding some chia seeds and fresh raspberries. High in protein and goodness and affordable in calories. Ice cream lost it's hold on me! I thirst no more. My nutrition tracker that I use each day always reminds me of my 8 glasses or so of water ......(though carry my bottle with me) ...... And I can see at a glance where I am on the tracker and use it along with all the other tools Sparks generously provided. Yes, it is wonderful living in a wellspring .... an Oasis ....... of love in the community of great friends and so much more. I will not have a reunion in Neverland ever again. It had nothing to offer then and nothing now. Thanks for reading friends and have a happy Friday and great weekend! 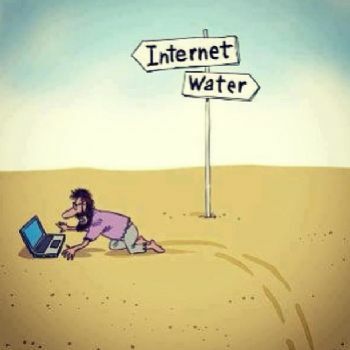 The desert is a great analogy, and as ever I find your blog motivating and entertaining. Thank you! Well, I don't know how, but somehow, I missed this one. Great blog, and loved your transformation story. I think I need a hefty dose of your willpower! INSPIRING. LOVE SP AND YOU ALL. Great blog! I enjoyed it! You are an inspiration to me! I love the "I'm saved!" 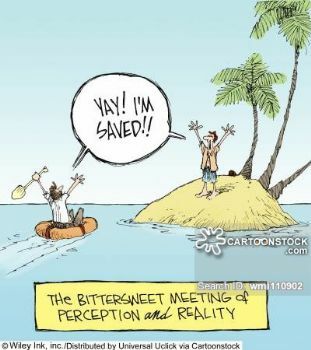 pic; it's a good reminder that we can perceive things how we want to sometimes! All the best! Very inspirational! Makes me never want to go back to Neverland again! Your current blog makes a healthy and fit lifestyle so desirable. I'm going to enjoy making health food choices and exercising more than ever! Just what I needed today. Felt myself falling back into back habits. Love, love, love your blog. I have felt myself backsliding a little bit and I definitely needed to hear your words of wisdom and encouragement. Well written, I can so relate to the creepers on the desert I often was on the search for the one thing that would fill me up. That special taste, that ultimate feeling. I too, enjoy this app and it allows me to be free from those thoughts. I do think that writing about them has helped me to remain free from them. I cannot believe that people can be so rude. I almost cried reading this, because you are such a beautiful person - no matter what your size is - and that's just awful treatment for you to receive. Boo hiss to them. I am so glad you found your way to health and a place where you feel comfortable in your body! It's very inspiring to hear how you motivate yourself to stay there. Great blog and great advice. Thanks so much. You reminded me that even though we may feel alone in our healthy eating and dieting; we all share so many thoughts and experiences. You must helped me so much. Awww...so nice that you appreciate us but remember you worked as well. Proud of you and your accomplishments!!! Awesome! You've done so well and truly learned the healthy lifestyle. What an inspiration you are. I'm on the bandwagon and will stay on it now! I want to do awesomely too! blog, for sharing. I enjoy your theme and graphics! Great blog! As I am getting closer to my goal weight I worry if I can maintain. I never could do it before, so I know how hard it is. Hopefully I can do it this time around. When I got to your comment about the bellowing clerk, it brought back a memory to me of being in a store, just poking around when a "helpful" clerk said in a loud voice, "We have some nice T's over there, all the way up to 3X". I turned and left as soon as I could. First, I was probably a 1X at the time, but it made me think of how I MUST appear to her and others - a huge blob of a person. It made me embarrassed and sad, but not enough to lose weight for once and for all. Kudos to you for your successes. I'm working on it! One of the best blogs ever! Come on over to Maintainerland forever!! Yaaay SP! This was so good, I read it twice! Carve your successes in stone. Write your failures in the sand. Great post! Can't agree with you more! I love the knowledge and support I find on Sparkpeople!